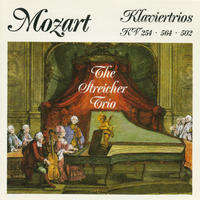 Streicher Trio: Classical chamber music on period instruments. The Streicher Trio is a favorite Bay Area chamber ensemble. Its "playing is of a consistently high standard," reports the STRAD. Their core repertoire is of the Classical Era, with occasional performances and recordings of Baroque and Early Romantic Music. Their interpretations on original and replica instruments enrich the standard Classical piano trio repertory, bringing the listener to the spirit of the original sonorities. "They deliver resonant, buoyant readings, with the sound of the elusive fortepiano captured as well as I've ever heard it." --The SF Examiner. Since 1985, the ensemble has toured many years on the California Arts Council Rooster and in the USA, as well as winning grants to festivals in Germany, and France. Numerous concerts have included guest artists, ranging from vocalists and instrumentalists, to a Spanish dancer. 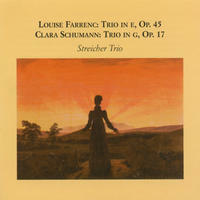 The prominent musicians heard on the Streicher Trio recordings include Katherine Kyme and Carla Moore, violin; Sarah Freiberg, cello; Charlene Brendler, fortepiano; and Judith Nelson, Soprano. "The Trio's interpretation is dynamic, with a lot of lyrical movement, and persuasively profound." --The Diapason, France. Katherine Kyme is a principal violinist and soloist with the Philharmonia Baroque Orchestra and with the American Bach Soloists. She performs Classical era chamber music with the New Esterhazy Quartet as well as the Streicher Trio. In addition to advocating contemporary music, she conducts two youth orchestras connected with the California Youth Symphony. She studied violin at UC Berkeley, Yale University, and in Vienna. Charlene Brendler, founder of the Streicher Trio, performs on and teaches both fortepiano and harpsichord. She has made numerous appearances on both instruments as a recitalist, an ensemble member, as soloist with orchestra, and as a collaborator in lieder recitals. She serves on the faculty of UC Berkeley and the Crowden School. She studied early keyboard instruments in Amsterdam, London, New York, and Boston. Sarah Freiberg, cellist on the recordings, teaches at Boston University and performs in a variety of ensembles in the Boston Area. She received her Doctorate from the University of New York at Stony Brook, is a graduate of Brown University, and studied at the Mozarteum in Salzburg. She is also a contributing editor for Strings Magazine. Joanna Blendulf, pictured cellist, is a native of Sweden, and performs with ensembles and orchestras across the nation. Currently in Portland, she is active with the Portland Baroque Orchestra, the American Bach Soloists, and Mirabile, to name a few. She was a competition runner-up in 2002 for the EMA/Dorian Competition playing the Triemer cello sonatas. She studied at the Cleveland Institute of Music and Indiana University. 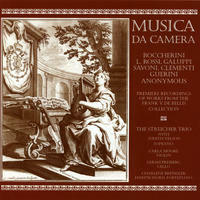 Judith Nelson, Soprano, (on the Musica da Camera 17th & 18th century selections from the Frank V. de Bellis Collection in San Francisco), is an internationally known specialist in early music singing. She has performed in over a hundred recordings with the most notable names in the field both in Europe and the USA. 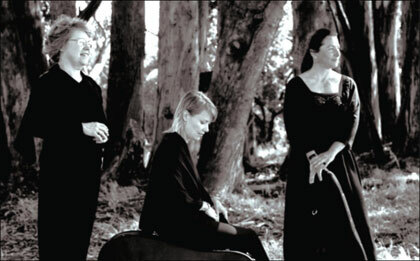 Streicher Trio lives in BerkeleyCalifornia, USA. Tagged as: Classical, Chamber Music, Classical Period, Instrumental, Cello, Composer: Wolfgang Amadeus Mozart, Classical Piano, Violin.